Each year United Methodist Homes provides a “Values in Action” award in recognition of employees who have demonstrated extraordinary behavior that exemplifies the organization’s core values of Respect, Spirituality, Excellence, Collaboration, and Stewardship. All employees are eligible to be nominated or to nominate any of their team members. Staff are encouraged to nominate their co-workers who demonstrate any or all of the UMH core values. 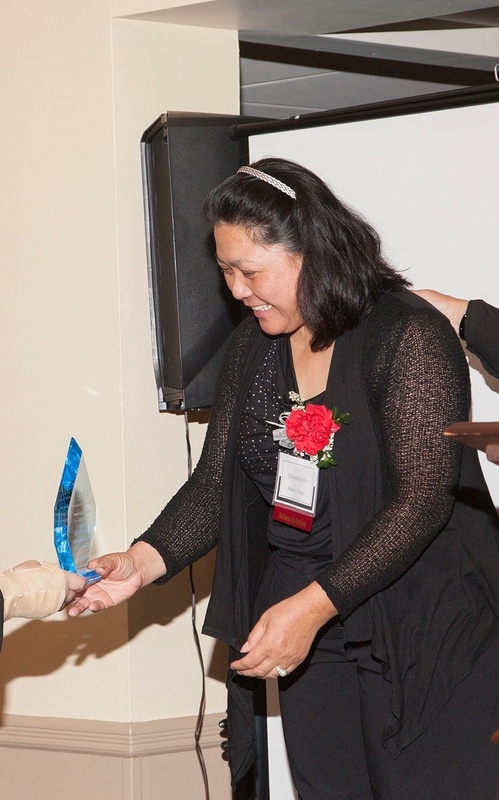 One individual from each of our communities is chosen to receive the award, which is presented at our annual Employee Recognition Celebration dinner. Award winners are recognized with a monetary award and a trophy and praised by their supervisors for their outstanding character and service. Congratulations to our winners! We hold each individual in high esteem and treat all with dignity and respect. We view each individual as a whole person and administer to spiritual concerns as well as physical needs. We collaborate with staff, medical practitioners and community members in order to incorporate the creativity of all. We are responsible for preserving those who have come before us and we are responsible to those who will come after us. We improve quality by empowering our associates to continually improve our outcomes of service. We encourage innovation by seeking, listening and responding to new ideas. Vanessa is a Cook in our Dining Services department who takes great pride in the work she does in the kitchen at our Bishop Wicke Health and Rehabilitation Center. She is a well-respected leader who engages her team to go above and beyond for all those we serve and always makes sure her staff knows what is expected of them. She’s a great problem solver, she takes initiative, and is always willing to help wherever she is needed. She has a wonderful spirit that is contagious to all and she makes us all want to work harder and follow her footsteps. 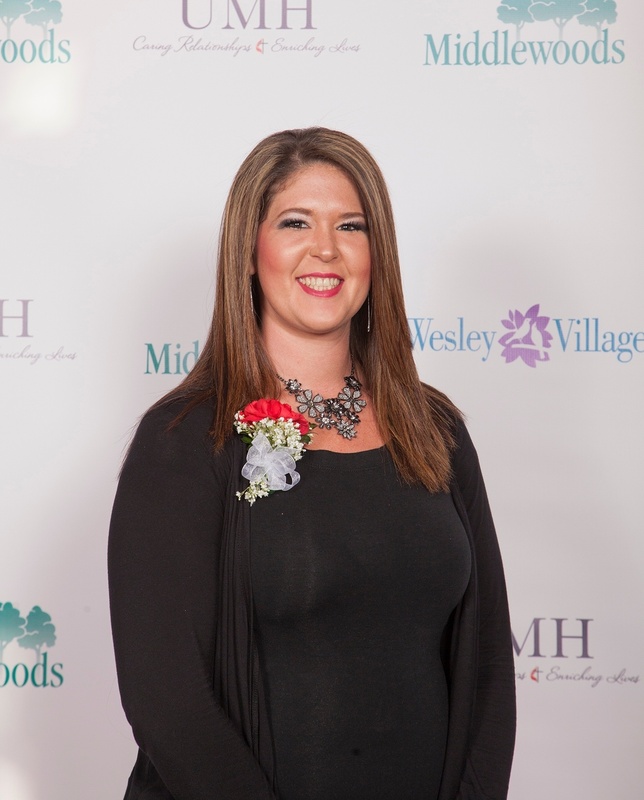 We are so grateful she stepped onto our Wesley Village Senior Living Campus and decided to become part of our UMH family. Vanessa is a joy to work with a consistently reflects our Mission and Values each day. Jennifer is the Transition Coordinator at our Bishop Wicke Health and Rehabilitation Center. She is the perfect example of kindness, compassion, and true team spirit. No matter how busy the day may be with meetings, equipment, and updates, she always has a smile to greet each family member and patient. She is thorough, efficient and willing to go the extra mile for all. One of the quotes she is known for sharing is “When your mom or dad is at Bishop Wicke, they are ‘my mom and dad’.” Jennifer not only speaks this sentiment, but she truly believes it and demonstrates this to all of her families. She has an amazing gift of being able to multi-task and defuse many difficult situations with family dynamics in a calm and respectful manner. Even with the obstacles along the way, she accomplishes her job with compassion, dignity, and respect and we are lucky to have such a dedicated person on our team. 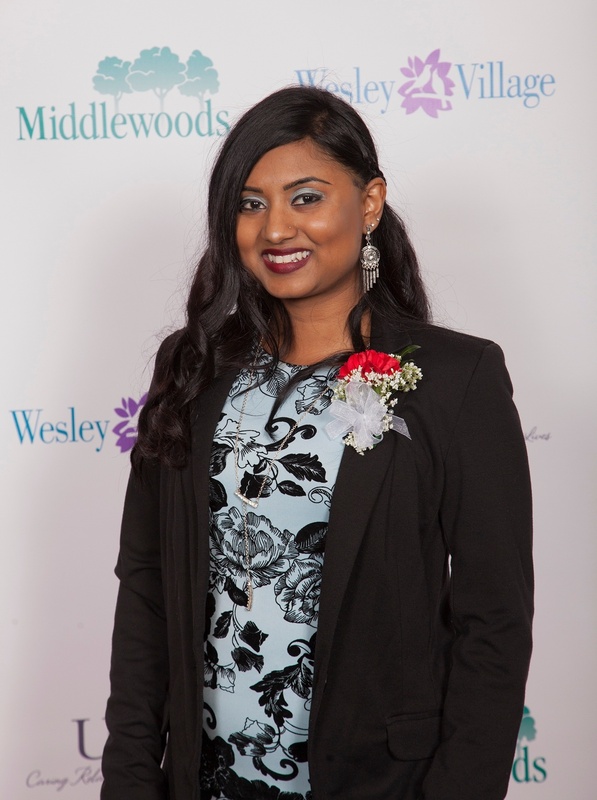 Chanmala is a Certified Nursing Assistant at our Bishop Wicke Health and Rehabilitation Center who is always willing to go above and beyond for the residents. She is always willing to help when needed; putting her co-workers before herself, frequently taking shorter breaks to help another staff member. She often offers to hem a resident’s clothes or do personal shopping for those who need additional assistance. Chanmala is skilled in understanding the complexity of both the medical and emotional needs of her patients and families, and her compassion and kindness truly come from her heart! Her dependability provides great support to her team and she regularly tackles all assignments and patient care needs with devotion and a smile no matter the circumstances. 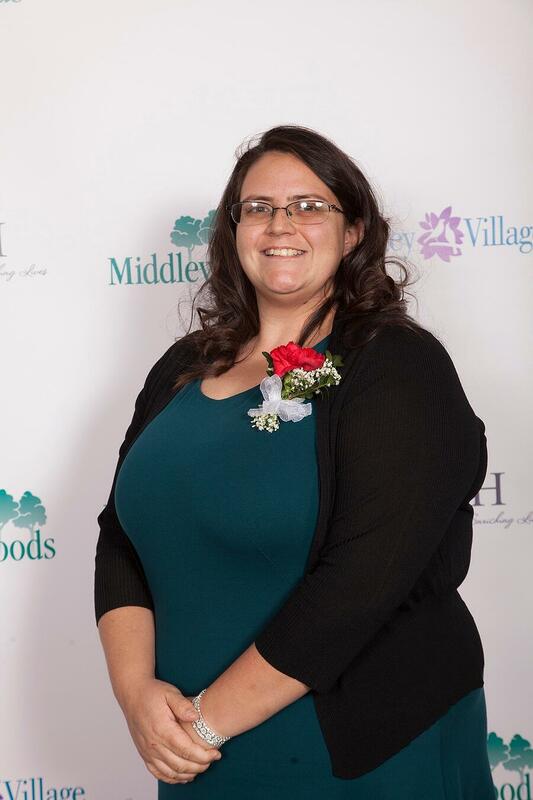 Melissa began working as a part-time CNA at our Middlewoods of Newington community in 2013 and gradually rose up to become our full-time lead CNA and an exemplary leader. She runs her shift effortlessly, knowing what each resident’s love language is and striving to give them what they need to feel at home. Not only does she take her time with each resident making them feel special and loved, she also can soothe a resident who feels anxious or distressed. Her quality of work is beyond expectations and her willingness to go the extra mile is one amazing quality about her. We have seen residents light up with joy when they see her or become quite disappointed when she is absent. Not only has Melissa been an example of how to care for our residents, she also works well with her peers. She is the go-to person to help fill any gaps in our schedule and continually shows the highest level of dependability. 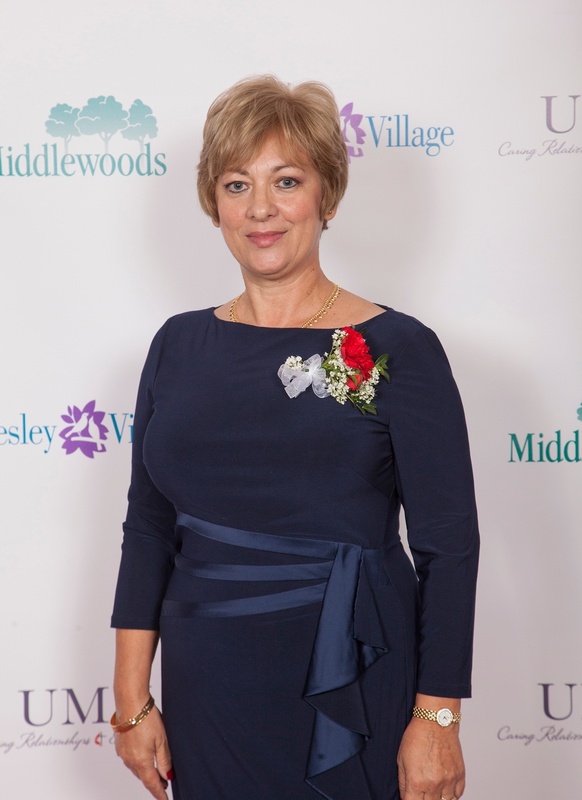 She is a true treasure to Middlewoods of Newington. Lyndell began her career as a Cook Supervisor with us in 2015. Begin brand new to the senior living industry after being in a corporate setting, she jumped in with both feet, ready to learn and serve the residents we care for. Lyndell puts so much heart into cooking food that everyone will like and knows the little details for each resident. She makes her way through the dining room to check in with residents to make sure everything is to their liking. If something isn’t to anyone’s liking, she fixes it! She is skilled at building relationships with staff and residents and always puts 110% into everything she does. Lyndell works closely with our staff and creates a strong sense of teamwork, with open, honest, leadership and a caring way about her. Her passion for helping others and making a difference at every opportunity shows through in everything she does. We are so proud to have her on our team! Mallory is a supervisor in our Dining Services Department at our Crosby Commons Independent and Assisted Living Community. Her “can-do” attitude and approach to both our residents and staff is an incredible and welcomed presence in our community. She is a true pleasure to work with and goes over and above to help any of us, in any and all situations and is always eager to please – with a smile on her face. Mallory has wonderful instincts to know just what our residents need – sometimes even before they do. She is a great team player and respectfully lives our Mission and Values each and every day. She is an asset to our organization and adds value to our Wesley Village Senior Living Campus just by showing up to work! We are so lucky to have her on our team. 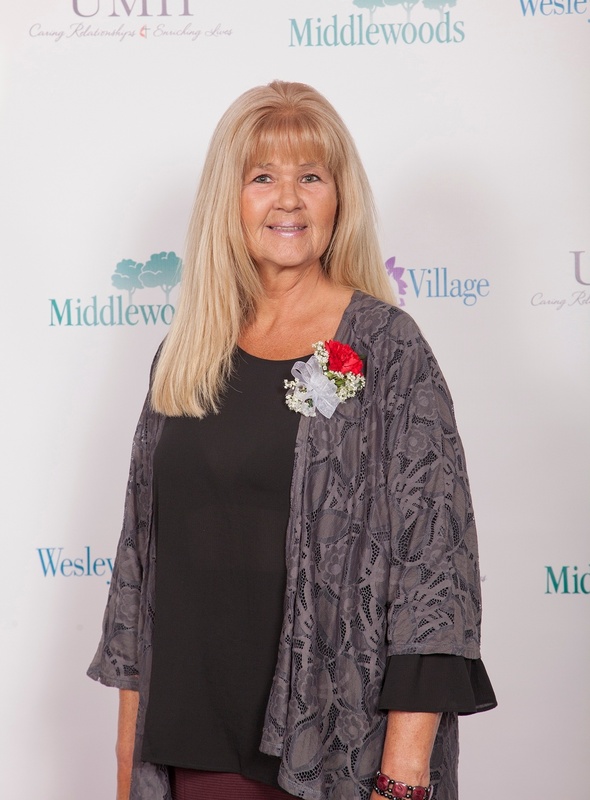 Pat is a Certified Nursing Assistant (CNA) at our Middlewoods of Farmington Independent and Assisted Living Community. She fills all roles with a smile on her face! Not only does she do a wonderful job as a CNA, but she also leads our “Matter of Balance” class, assists with evening and weekend out-trips, always offers to bake something or buy something needed, and shares her creativity always by decorating or helping with arts and crafts. She is thoughtful and intentional in all of her relationships; she even makes the time to send a birthday card to each and every staff member and remembers the special occasions of our residents and family members. 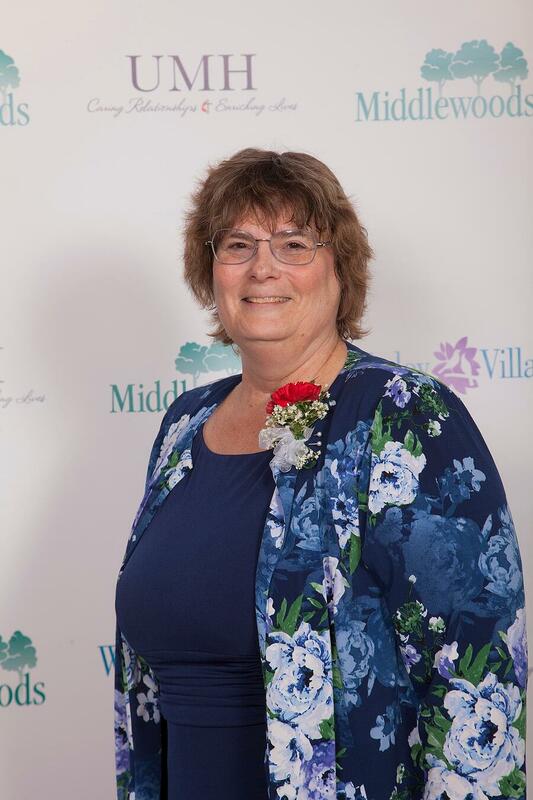 Pat was also recognized by the Middlewoods of Farmington Resident Council as Outstanding Employee of the Year a few years ago – a true honor! She embodies our core values on a daily basis and is a delight to work with. 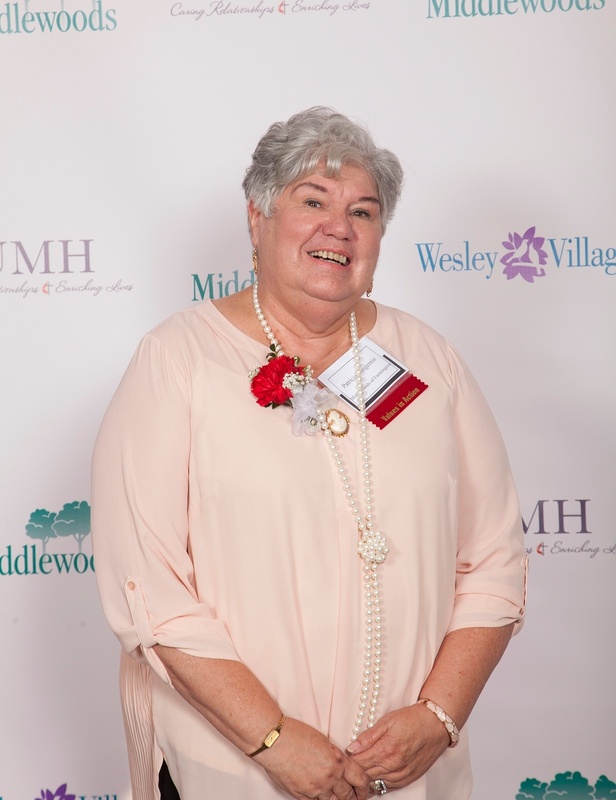 Sheila is a Registered Nurse at our Wesley Heights Independent and Assisted Living Community, who also works closely with our residents, family members, and staff at our Lifestyle Transitions Memory Support Neighborhood. She is steadfast, knowledgeable, compassionate, and respectful. Her calm demeanor helps keep everyone calm and you can always put your trust in every decision she makes. She is a consummate professional who enhances the quality of care and service we provide for all those we serve. Sheila reflects our Mission and Values in every relationship she cultivates. In every situation, whether it be a routine or difficult, Sheila handles the unexpected with grace and a strong, but quiet leadership that sets the right tone in our community. 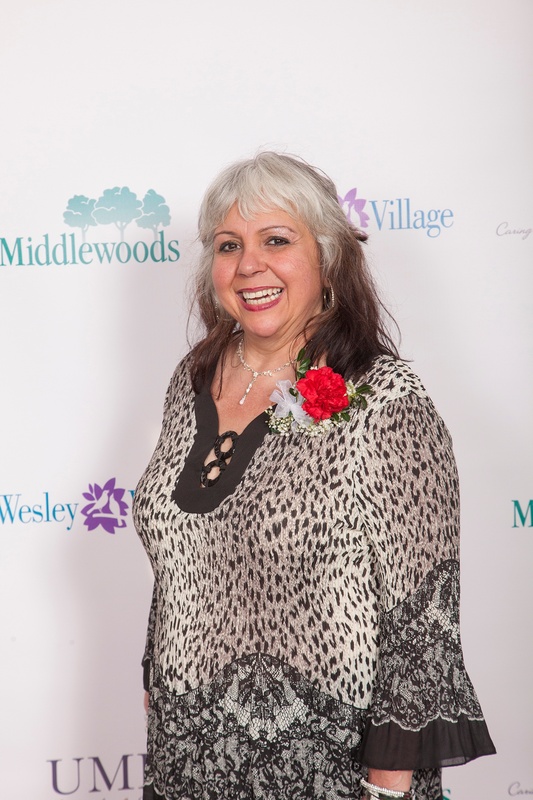 Anabela is a Certified Nursing Assistant (CNA) at our Wesley Heights Independent and Assisted Living Community, who works with our residents, family members, and staff at our Lifestyle Transitions Memory Support Neighborhood. She is very calm, respectful, knowledgeable and caring toward everyone she comes in contact with. She helps facilitate resident activities and always makes sure the residents feel special. Anabela is a true professional who works well with others, never complaining, and always doing whatever needs to be done. She consistently goes the “extra mile” to make sure our residents are happy and well cared for and she pays attention to residents’ preferences, providing the special touches that matter to each individual. 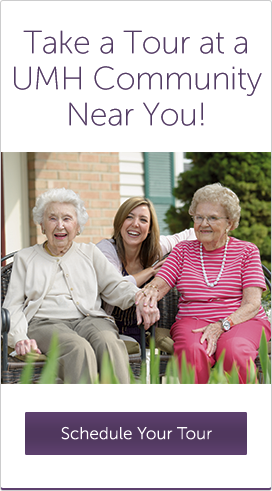 Our residents and family members often express appreciation for the kind and thorough care she provides. She is a gem! Barbara works as a Medicare Billing Coordinator in our Finance Department. She is a dedicated professional who has so much experience and knowledge related to her position. 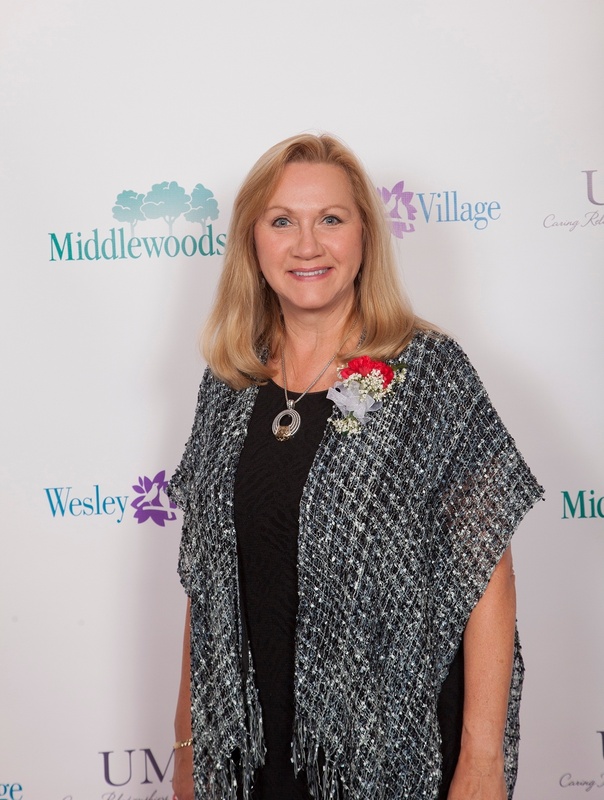 Over the past few years, she has been a great support to our Bishop Wicke Skilled Nursing and Rehabilitation Center and our entire organization, streamlining processes to ensure all needs are met. She is supportive to all departments and always interacts with our team members in a positive and nurturing manner. She always makes time to offer her services, is ALWAYS a team player and we are so grateful for all that she does for us. She is our rock!